For a few years I've been noticing that studies of vitamin D have had mixed results for a number of medical conditions. 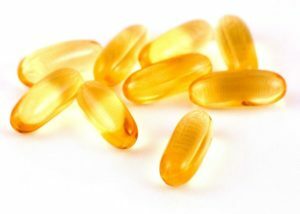 A number of times initial studies found an association with low levels of vitamin D and a number of medical conditions, but follow up well-designed studies are just not finding the same results with vitamin D supplementation - or results have been mixed. Also, in some studies, what initially looked like vitamin D being protective for some cancers and multiple sclerosis, now looks like it's sunlight that is giving the protective results. In some cases, vitamin D levels are a proxy for sunlight exposure (the more sunlight exposure, the higher the vitamin D levels in the person). The following 6 studies recently published highlight this same trend of mixed results. Results of a small clinical trial suggest that supplementing chemotherapy with high doses of vitamin D may benefit patients with metastatic colorectal cancer by delaying progression of the disease, say scientists from Dana-Farber Cancer Institute. ... In the high-dose group, patients had a median delay of 13 months before their disease worsened; in the low-dose group, the median delay was 11 months. In addition, patients in the high-dose vitamin D group were 36 percent less likely to have disease progression or death during the follow-up period of 22.9 months. The trial included too few patients todetermine whether those who took high-dose vitamin D experienced improved overall survival. High-dose vitamin D supplementation in pregnancy is not associated with a child's risk for asthma at age 6 years, according to a research letter published in the March 12 issue of the Journal of the American Medical Association. Women were randomly assigned to receive 2,400 IU/day vitamin D or placebo in addition to the recommended intake of 400 IU/day during week 24 of pregnancy. A total of 581 children were analyzed at age 3 years; 545 of these children were available for analysis at age 6 years. The researchers found that asthma was diagnosed in 8 and 7 percent of children in the high-dose vitamin D and placebo groups, respectively. No effect of the supplementation was seen in an analysis of the yearly prevalence of persistent wheeze or asthma through age 6 years. How much vitamin D can boost memory, learning and decision-making in older adults, and how much is too much? A unique study found that overweight and obese older women who took more than three times the recommended daily dose of vitamin D showed improvements in memory and learning -- but also had slower reaction times. The researchers hypothesize that slower reaction times may increase the risk of falling among older people. One group took the recommended daily dose of 600 international units (IU), equivalent to 15 micrograms, of vitamin D each day for a year. Another group took 2,000 IU per day and the third took 4,000. ... The researchers found that memory and learning improved in the group that took 2,000 IU per day, but not in the group that took the higher dosage. Meanwhile, the women's reaction time showed a trend to be slower at 2,000 IU daily and was significantly slower at the higher dosage. ....other researchers have found that vitamin D supplementation at about 2,000 IU daily or more increased risk of falls, but they did not understand the cause. Our team's findings indicating a slower reaction time may be one answer. Many people think that more vitamin D supplementation is better, but this study shows that is not always the case." A case study in CMAJ highlights the dangers of taking too much vitamin D. A 54-year-old man, after returning from a trip to Southeast Asia where he spent much of his holiday sunbathing, showed increased levels of creatinine, suggesting kidney damage or malfunction. After referral to a kidney specialist and further testing, it was discovered that he had been prescribed high doses of vitamin D by a naturopath, who recommended a dose of 8 drops every day. Over 2 ½ years, the patient, who did not have a history of bone loss or vitamin D deficiency, took 8-12 drops of vitamin D daily, totaling 8000 - 12000 IU. As a result, he had very high levels of calcium in the blood, which left him with significant kidney damage. The benefits of vitamin D in promoting bone health are already well known. A new study suggests that vitamin D also may promote greater insulin sensitivity, thus lowering glucose levels and the risk of developing type 2 diabetes. ... Of the women interviewed, 24 (3.5%) reported using vitamin D supplements. Vitamin D supplementation was found to be negatively associated with high glucose levels. Habitual exposure to the sun also provided the same association, demonstrating that vitamin D deficiencies are associated with high blood glucose levels.